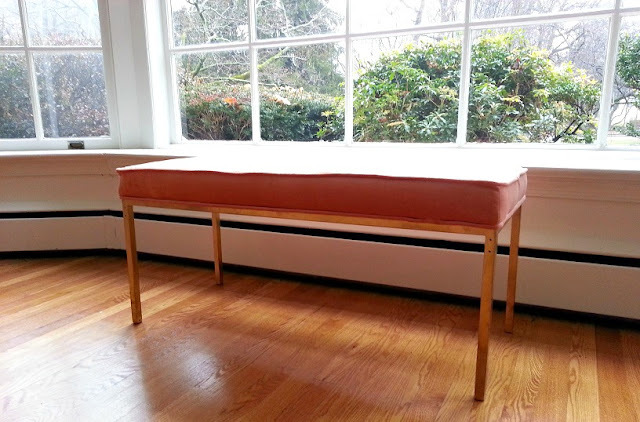 Moving into our house has inspired me to creatively reimagine some of the furniture we had in our apartment for new purposes, so today I thought I'd share how my mom and I turned a coffee table into a brass-and-velvet bench during her recent visit. 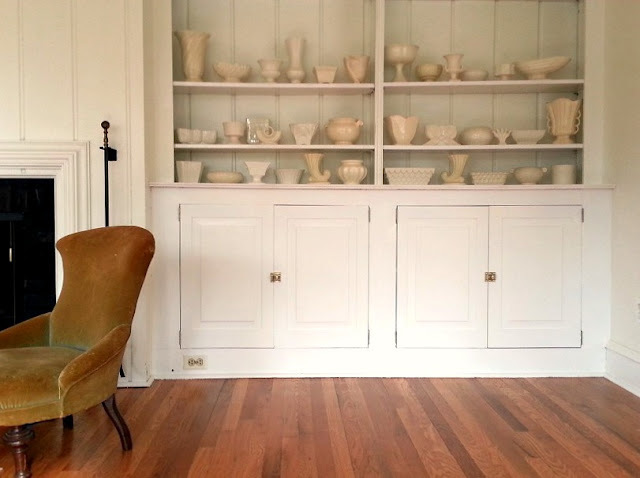 Sometimes, it doesn't take a full-scale renovation to customize a space into one that reflects our taste, and today I'm going to share details on how a simple change of hardware in our living room (as shown above) transformed a set of built-ins from dated to classic. Let me start this post by offering the requisite apology for my absence here lately. I've been a sporadic little blogger, huh? I haven't been sitting around eating bonbons and watching soap operas; instead, I've been busy settling in and starting many tasks around the house. This week, a braided jute rug that we ordered from RugsUSA arrived. 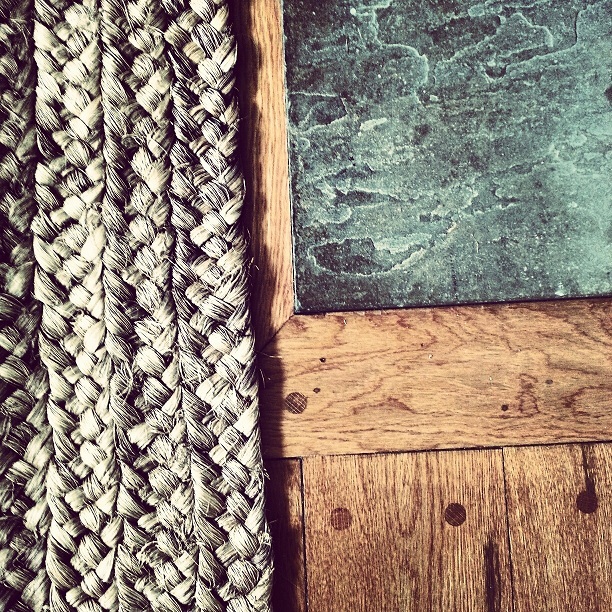 I'm smitten over the way the chunky braid of the rug offsets the worn texture of the slate hearth in the den. My husband and I celebrated Valentine's Day unlike most. Instead of chocolates, roses or greeting cards, we brought home a pretty, soft velvet tufted sofa for our living room. ...for $75! For less than the price of a fancy dinner! In the same vein as other forms of specimen artwork (like butterflies, insects and leaves), feathers are an example of the beauty of the natural world and a reminder that design can be found all around. I took advantage of this inspiration from nature to add artwork to our living room walls.